﻿ Is Mazatlan Safe? - Is Mexico Safe?Is Mexico Safe? Mazatlan has found itself in a unique situation. On the one hand, the city is a beautiful mecca for tourist as crowds are drawn to the coastal getaway each year. On the other, it is situated in Sinaloa which is in the middle of a crisis as it deals with cartels. So before we explore everything Mazatlan has to offer, we have to address the question on everyone’s mind. Is Mazatlan safe? So… is Mazatlan safe to travel to? Mazatlan, for the most part, is generally safe. Though it gets a bit of a bad rap as a result of Sinaloa’s overall crime statistics. At the same time, we don’t want to undermine the danger posed by local cartels. It’s very true that the cartels are responsible for quite a number of crimes within the area. That said, the city of Mazatlan has taken quite a few steps to insulate itself from the danger. In 2013, a number of infrastructure changes and an overhaul of the police department in Mazatlan helped calm many tourist’s fears. In fact, the city experienced its biggest tourist season ever that year. Improvements include a $50-million security camera network throughout the city, a new tourist corridor to make it safer to travel from the port to other destinations, and a number of updated hotels. When planning your next vacation to Mexico, keep in mind that the U.S. Department of State recommends deferring all non-essential travel to Sinaloa, with the exception of visits to Mazatlan. Do not travel off the toll roads or in remote areas of Sinaloa. Do not travel alone, particularly late at night or early in the morning. If this can’t be avoided, make sure someone else knows your whereabouts. Try to stay with a crowd whenever possible. Leave cash, passports and expensive jewelry locked in your hotel safe when out and about in Mazatlan. Exercise common sense and don’t try to stand out or paint yourself as a target for theft. Have your wits about you when shopping. As getting hustled is much more of a threat than violent crime in Mazatlan. Remember, Mazatlan is like any major city, so be aware of your surroundings and err on the side of caution. If something seems off, remove yourself from the situation and find another place to have fun. Mazatlan still remains a tourist haven despite being situated in a state that contends with cartel violence. Visitors the world over make the journey to the coastal city for an experience unlike many other Mexican destinations. That allure of Mazatlan rests in that very difference that separates itself from other popular tourist getaways. 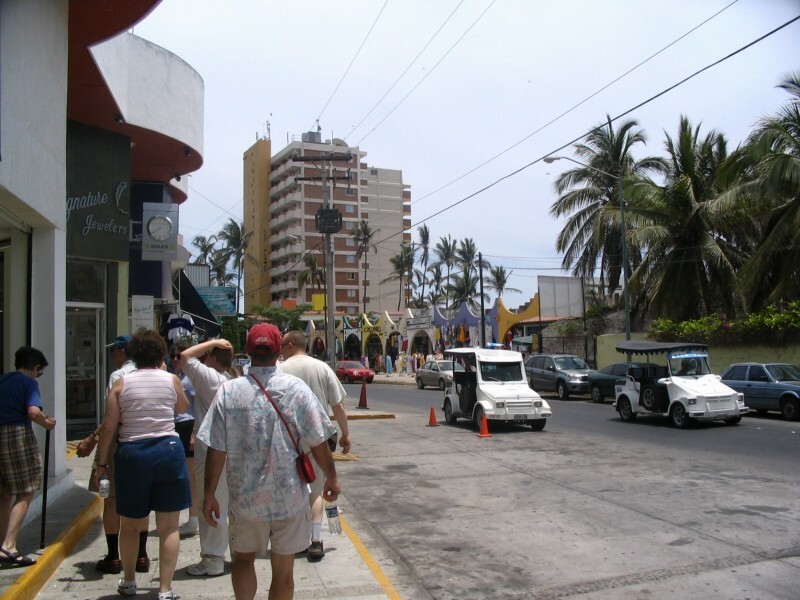 Where other cities have changed over time to suit visitors, Mazatlan very much retains the spirit of the city. Of course, there are some areas that will feel catered to tourists, but a short trip away the real Mazatlan waits. A step outside of the famous Golden Zone will bring visitors up close and personal with the Mazatlan locals enjoy. There you can find authentic eateries, explore the architecture that dates back to the Spanish era, as well as get a taste of the everyday Mazatlan lifestyle. For those that enjoy long walks by the beach, Mazatlan has the something in store for you. The newly re-touched Malecón boasts one of the longest stretches of beachside boardwalks. There you can enjoy shopping, eating, and grabbing a drink right alongside the sea. While as of writing this, construction is underway to revitalize portions of the boardwalk, it still remains open. And from other the stories of guests, the project is shaping up to make Malecón even more beautiful. Though, when enjoying everything Mazatlan has to offer, remember our tips and everything will go splendidly. That said if you would like to read more about ways to stay safe, check out our last post about general safety in Mexico. So there you have it. Mazatlan is a coastal paradise with quite a bit to offer visitors. And while it is located in Sinaloa, it still remains largely insulated from much of the violence. So if you want to take a trip south of the border but want something different from your usual vacation, give Mazatlan a try.